The HG-7000 On-Site Professional SIM-Based SMS Gateway is designed to provide SMS solutions for mobile marketing, corporate SMS and bulk SMS. 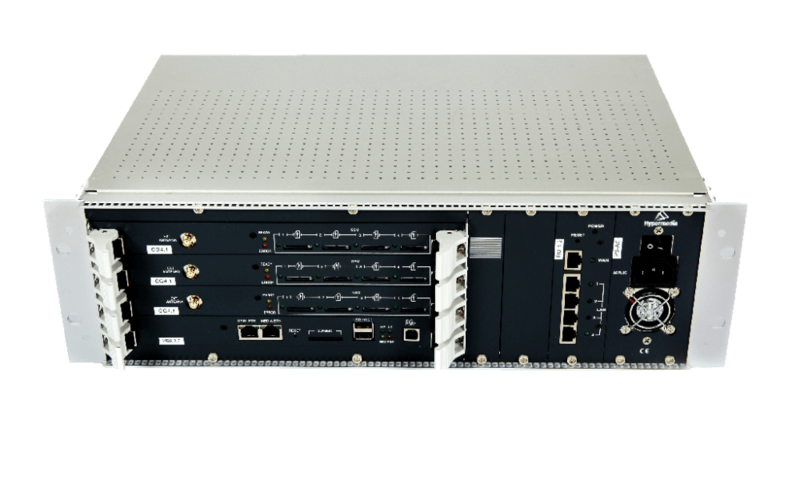 Available in 6U with 4 to 32 SMS ports or 3U with 4 to 12 SMS ports. The HG-7000 SIM-Based SMS Gateway, with 4 up to 32 SMS ports, is designed to provide SMS solutions for mobile marketing, corporate SMS and bulk SMS. Hypermedia's SMS Gateway Pro is a SIM-based platform designed for 2-way SMS messaging directly via the cellular network to and from any mobile phone on it. Given the Gateway's overall flexibility, the GSM-SMS Gateways can be pre-configured to meet every customer's exact requirements. Small to large sized companies, call centers, SMS wholesalers and other service providers can easily expand this cost-effective system to meet their evolving SMS needs over time. 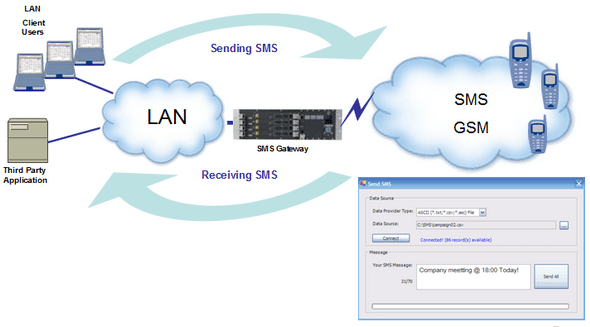 By installing one of our SMS Gateways and connecting it to the LAN, companies can use their local IP network to send text messages to multiple recipients by connecting directly to the cellular networks, ensuring that information is delivered in a timely fashion, increasing productivity and efficiency, reducing operating costs and keeping all sensitive business data secure with no need to pass it to 3rd party service providers. Hypermedia's HG-7000 SMS gateways automate time-consuming actions and facilitate the sending of pre-defined and bulk SMS while taking advantage of the low GSM mobile-to-mobile rates and special VPN SMS rates to cost-effectively deliver messages. Our SMS Pro Server comes with an easy-to-use API (SDK) which enables third-party applications to send and receive SMS messages. Due to it being a customer premises equipment (CPE), Hypermedia's SMS Gateway Pro HG-7000 eliminates the need for third-party ASP or SMSC aggregators and enables the sending of SMS messages directly via the cellular operators. Ideal for banks, financial institutions and credit card companies, the Gateway allows you to avoid exposure of sensitive information, such as clients' details and helps to maintain confidentiality and privacy of client data. Interested? Contact a local Hypermedia Dealer!